Joe Dante is a very underrated director – I don’t understand why he doesn’t get more work. I always thought he was like a darker Steven Speilberg when I watched Gremlins and Innerspace. While Gremlins is probably his most watched film, I think that Matinee is his most mature film that he has made. It’s an entertaining period piece that takes place during the Cuban Missle Crisis and incorporates real news footage. Matinee pulls this off so much better than how that was done in the recent X:Men First Class. Matinee is a real touching, entertaining film with tons of great performances from the kid actors, Goodman, and Moriarity. Matinee is just another film proving what a great screen presence John Goodman is. I know it’s hard for him to actually headline movies nowadays since he’s a bit overweight (even after his diet) and older, but I really wish he continued to headline movies as he did in the 90s. 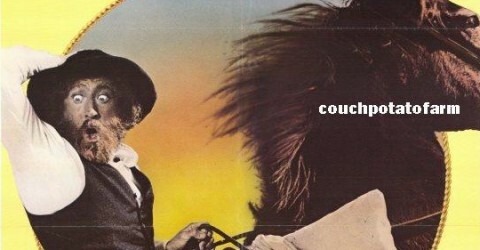 He can carry a film as the main lead (Matinee, Babe) or he can steal the show as a supporting actor (The Big Lebowski). 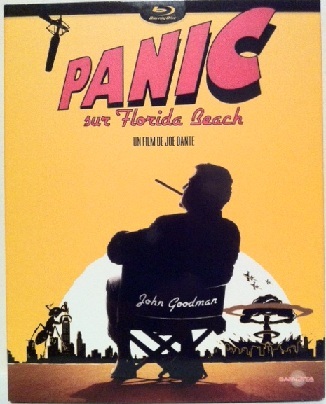 The French Region B blu-ray of Matinee (called “Panic sur Florida Beach” in France) is practically perfect. The image is totally colorful, crisp, and sharp from beginning to end. The English 2.0 LPCM audio is one of the best active ones I’ve heard – it sounded much better than many DTD-HD 5.1 audios. The dialogue is clear, the subwoofer is totally active – just a great job with both video and audio. The French subtitles are removable with everything (movie and extras). The extras are interesting, with a 30 minunte interview with Dante, a 10 minute making of, a trailer, and some photos. The slipcase cover is one of the prettiest I’ve seen and it comes in black blu-ray case. So this is definitely one of the nicest overall blu-ray packages I’ve imported from France. Matinee is a great, rewatchable period piece film from beginning to end and I highly recommend this blu-ray!